Alongside Episode 4 of the Legends Assemble! 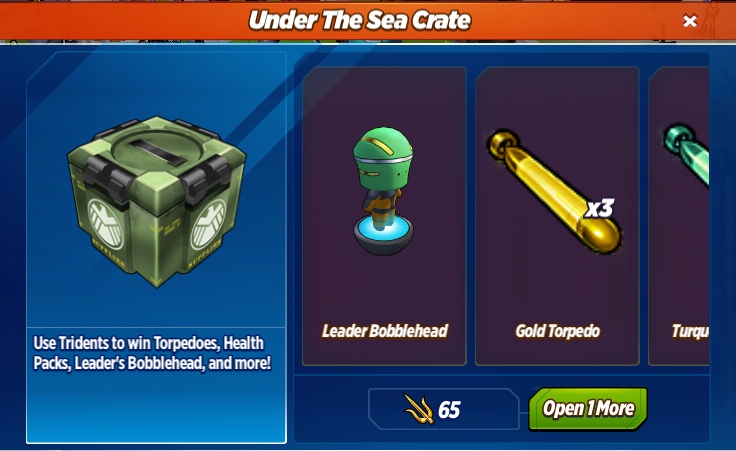 Special event, TinyCo has also dropped another crate into our shops - the Under The Sea Crate! 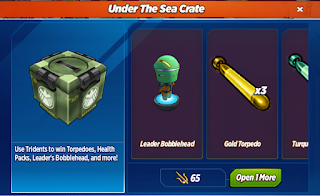 It costs 65 Tridents per try and contains the Leader Bobblehead, as well as other items which will help with the current event. Are you going to have a go at the crate? If you did, did you get what you wanted? Do you like having currency crates at the end of the event?